This statistic shows the share of the population who said they gave to charity in the last four weeks in 2017/18, by region. 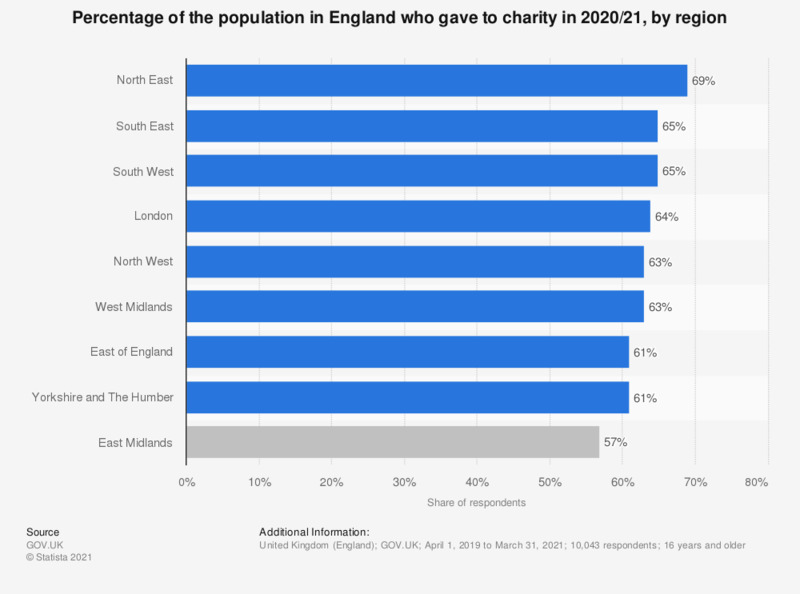 Proportionally, those in the South East gave most to charity. At 69 percent, residents of the North East had the smallest proportion of charitable givers. This was six percent below the national average.